Walkers can enjoy birds floating or flying, wildflowers and the serenity of unobstructed views of San Pablo Bay, hills and wetlands on some 4 miles of public trails. 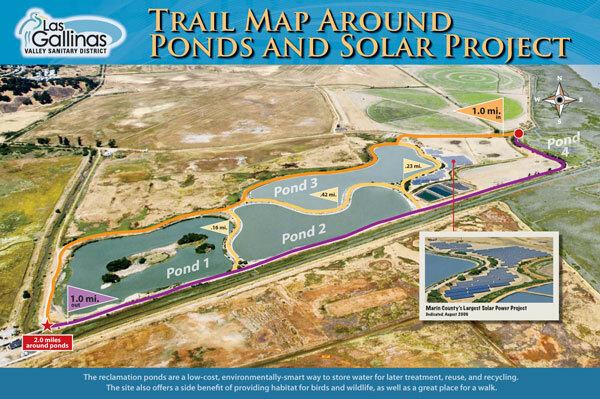 The 383 acre reclamation area includes 200 acres of pasture irrigation fields, two treated wastewater storage ponds and a freshwater pond with 3 islands to provide nesting sites. 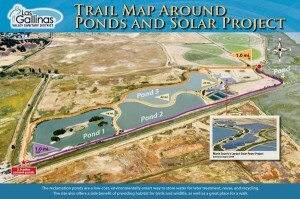 The three ponds store treated wastewater which provides a home to a variety of wildlife and migrating and resident birds. It is a favorite haunt for photographers, artists and recreation enthusiasts. Get goose management poster here.